First of All i want to Thank all you wonderful blog friends for your sweet birthday wishes! you guys are the best! Apologies for the unexpected delay, but the weekend brought one last cold for me and Little Man. I knew as soon as he showed signs i wouldn’t be far behind and i was right. Little Man was sick on the weekend and sunday night my symptoms started. Today was my first day of enough energy to focus. IMG_1368, originally uploaded by Craftydiddl. 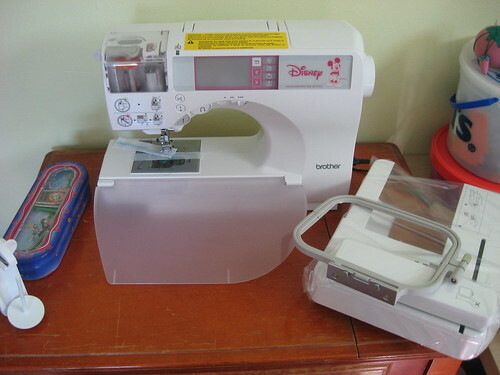 A fancy new sewing machine-it does all kinds of sewing tricks! One of the bigger things is embroidery. I was able to learn a few things on Saturday. I have to get embroidery thread and fabric stabilizer before i can embroider but i hope to do that tomorrow. i love it and have already started cutting fabric for some sewing. 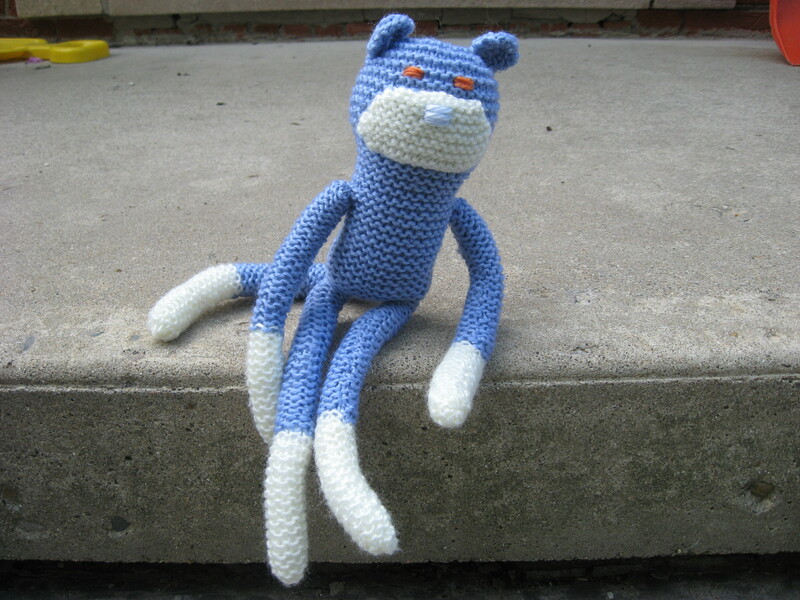 Knitting has not been so productive. 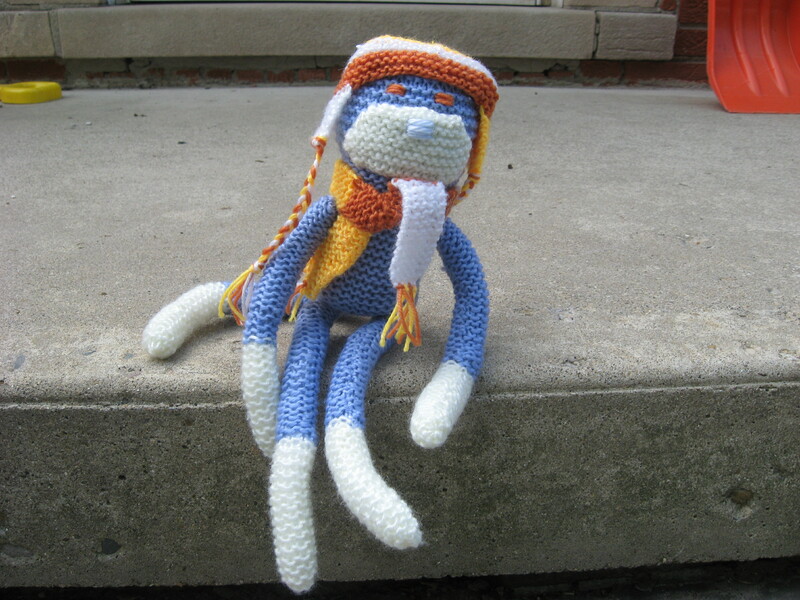 But i did finish this monkey last week. It was a kit for kids that i found at Target. It was 75% off so i figured “Why not” it was easy to make and it turned out pretty cute. Well i am off to rest some more! « Happy Birthday to Me! GREAT b-day present!! “Disney” and all! :oD Can’t wait to see what tricks it does! Hope you are feeling better! I hope you both feel better soon! That is an amazing sewing machine your husband gave you. I can’t wait to see what you make with it. The monkey is too cute.